Tarti black pudding and cider, a racy and original product to prepare toasts to the taste of the terroir for the aperitif. Tarti pudding and cider, to a slightly sweet and salty taste. A racy and original product to prepare toasts to the taste of the terroir for the aperitif. 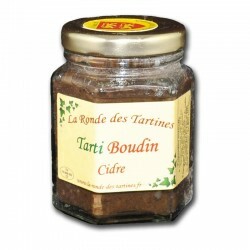 Tarti pudding - cider is a preparation based on applesauce, black pudding and cider. 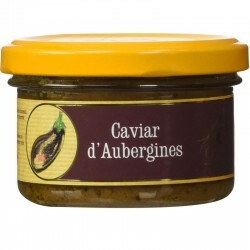 This preparation to the good taste of Normandy is enjoyed on toast toast as an aperitif. To add a touch of originality to the appetizer, you can also put some Tarti Boudin Cider on thin slices of tart apples. To be enjoyed on toast as an aperitif. You will appreciate its slight sweet taste.